After some fuss with the release of the Prey demo on the PlayStation store, I finally had the chance to boot it up Thursday morning. 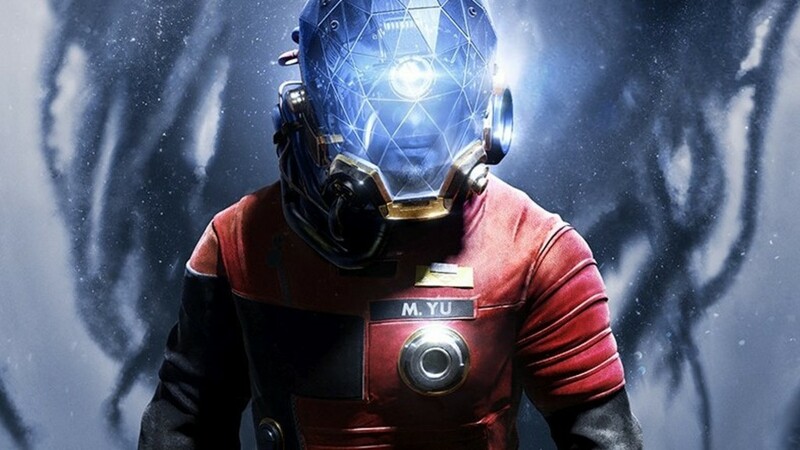 Prey’s opening hour puts the player in control of Morgan Yu as they discover the truth behind what’s going outside their apartment. Right off the bat, the demo throws the player a curve ball. Its twist is buried only minutes into the game; the search for what’s real and what’s manufactured is all tangled up with the desperate need to survive. This is Prey’s most engaging aspect. While the narrative is cut short by the demo’s clear roadblocks (as you can play for longer than the hour advertised), its horrifying vision of the future evokes the same feeling as when I booted up Bioshock for the first time. Though its premise isn’t as immediately striking as the underwater city of Rapture, the demo managed to wrap me up in its narrative within a mere hour of playing. 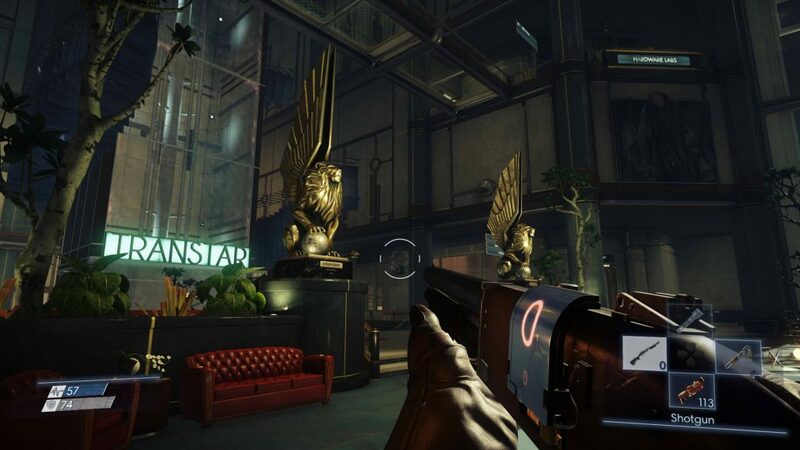 For science-fiction enthusiasts, Prey is definitely a game to keep an eye on. So what’s real… and what isn’t? Unless you’re the type of person who doesn’t mind whacking every nearby object with a wrench. This is the Prey demo’s most useful weapon. Even a futuristic goo-blasting water gun barely holds a candle to the trusty wrench. If you can’t use environmental hazards or nearby turrets to deal with Mimics, whacking them over the head with a wrench usually does the job. There hasn’t been a melee weapon this trusty since Half-Life’s ever-present crowbar. I’ll admit that this is probably only true for the demo and people with mediocre aim like myself. This is what your brain looks like on Neuromods. Combat in Prey is slow and deliberate, relying on unique weapons, abilities, and skills over an inherently engaging combat experience. 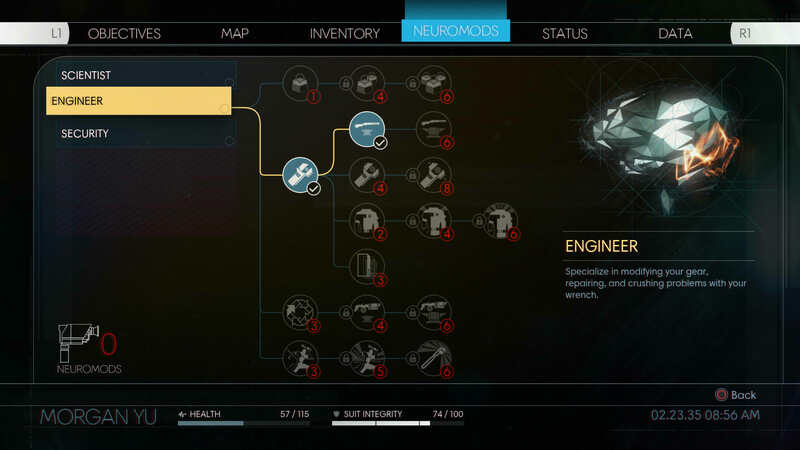 These abilities can be modified through Prey’s version of skill trees. Neuromods augment Morgan’s brain and allow them to perform inhuman feats or learn entirely new skill sets. 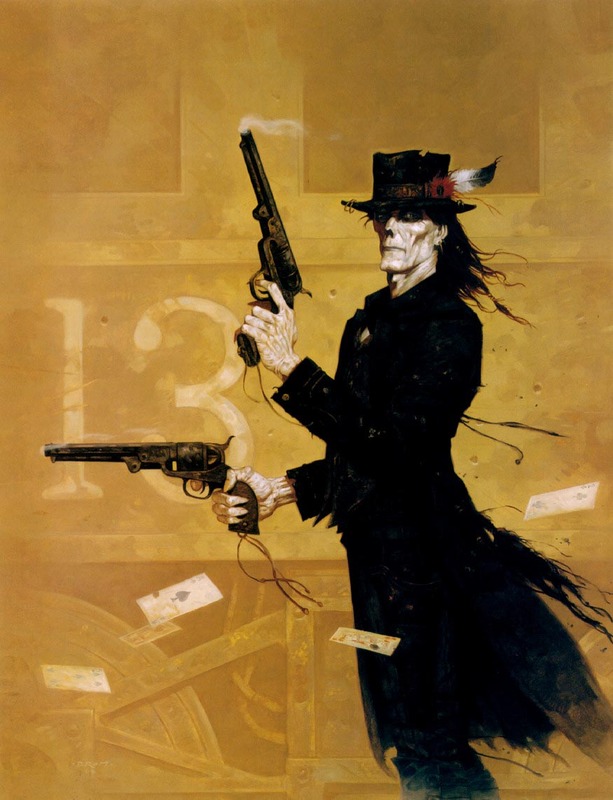 The variety of abilities lends itself well to its core gameplay. Level design is hip, cool, and futuristic. Prey boasts an impressive level design that gives players a dozen ways to complete their objective. 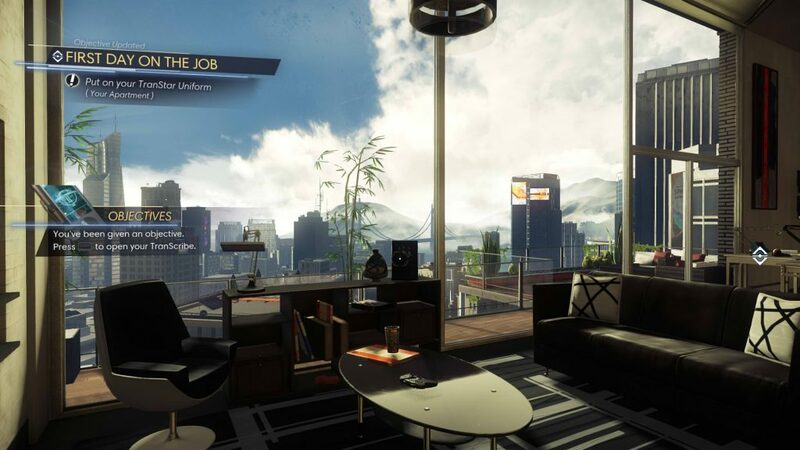 The Lobby—Prey’s first real open level—can be completed without setting foot in half the rooms in it. When my roommate and I compared notes on the demo, we realized that the two of us had taken completely different paths to the mission marker across the room. I nabbed the shotgun while he got stuck behind a wood-barred door; I think I know who chose the better route. Award-winning composer Mick Gordon returns. Mick Gordon, composer of DOOM’s wildly bombastic metal soundtrack, returns as the composer of Prey. I was impressed by the demo’s music from the opening cinematic. Gordon’s style is notably different in Prey, taking on more of the synthetic sci-fi sounds that slipped into DOOM. Yet the audio mixing drops the ball and it drops the ball hard. Each time an enemy approaches, even if it’s a lone Mimic, its battle music blares into action. The volume for that singular track must be twice as loud as everything else in the demo. It’s a massive shame that I felt the need to turn down the music volume for a game with a soundtrack that rich. Worse yet, the theme seems to persist long after the monster in question is defeated. Bethesda seems to be aware of this issue and has stated that they will fix it before its release on May 5th. The Prey demo is available on PlayStation 4 and Xbox One. 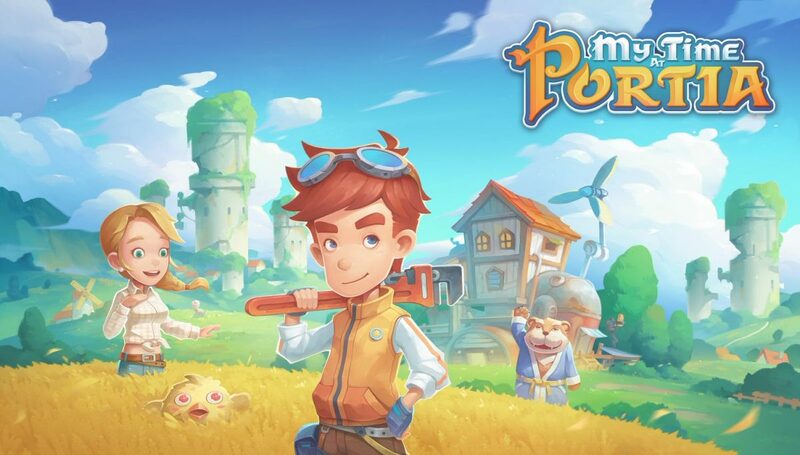 It will also release on PC, but does not have a demo for that version. This is concerning considering Bethesda’s track record with Dishonored 2, a highly-acclaimed title tarnished by a flawed PC port. Bethesda released recommended PC specs yesterday afternoon to quell player’s concerns, but it might be wise to wait and see how it performs on May 5th.